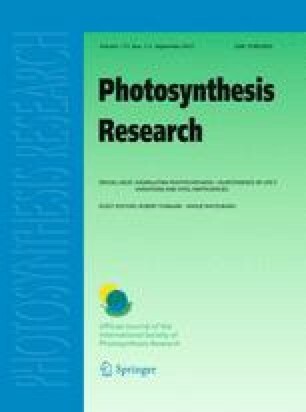 Given its unique function in light-induced water oxidation and its susceptibility to photoinactivation during photosynthesis, photosystem II (PS II) is often the focus of studies of photosynthetic structure and function, particularly in environmental stress conditions. Here we review four approaches for quantifying or monitoring PS II functionality or the stoichiometry of the two photosystems in leaf segments, scrutinizing the approximations in each approach. (1) Chlorophyll fluorescence parameters are convenient to derive, but the information-rich signal suffers from the localized nature of its detection in leaf tissue. (2) The gross O2 yield per single-turnover flash in CO2-enriched air is a more direct measurement of the functional content, assuming that each functional PS II evolves one O2 molecule after four flashes. However, the gross O2 yield per single-turnover flash (multiplied by four) could over-estimate the content of functional PS II if mitochondrial respiration is lower in flash illumination than in darkness. (3) The cumulative delivery of electrons from PS II to P700+ (oxidized primary donor in PS I) after a flash is added to steady background far-red light is a whole-tissue measurement, such that a single linear correlation with functional PS II applies to leaves of all plant species investigated so far. However, the magnitude obtained in a simple analysis (with the signal normalized to the maximum photo-oxidizable P700 signal), which should equal the ratio of PS II to PS I centers, was too small to match the independently-obtained photosystem stoichiometry. Further, an under-estimation of functional PS II content could occur if some electrons were intercepted before reaching PS I. (4) The electrochromic signal from leaf segments appears to reliably quantify the photosystem stoichiometry, either by progressively photoinactivating PS II or suppressing PS I via photo-oxidation of a known fraction of the P700 with steady far-red light. Together, these approaches have the potential for quantitatively probing PS II in vivo in leaf segments, with prospects for application of the latter two approaches in the field. The support of this work by an Australian Research Council Grant (DP1093827) awarded to W. S. Chow, a Knowledge Innovation Programme of the Chinese Academy of Sciences grant (KSCX2-EW-J-1) to D.-Y. Fan and JSPS Postdoctoral Fellowships for Research Abroad (21-674) to R. Oguchi is gratefully acknowledged. W.S.Chow is grateful to Barry Osmond for providing scientific refuge and saving a career in photosynthesis research.